This is a 'not quite so' wordless post, sorry! 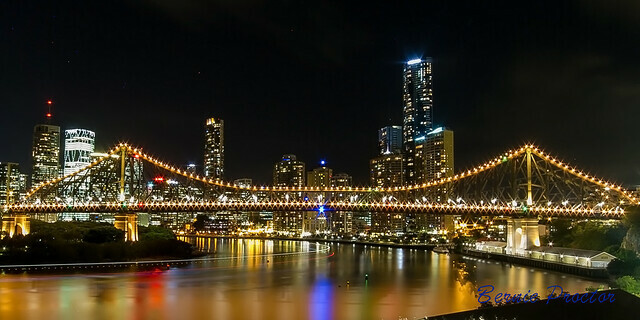 But, the other week, I was up in Brisbane, the Capital city of Queensland. It is a nice enough city, and I was there for the Sydney Swans v Brisbane Lions AFL game, which we (Swans) won easily! I have been doing a few 'Time-Lapse' things later, and here is the Storey Bridge. I've also gotta say, there a mighty fine bunch of friends up in Brisbane, and I will be happy to catch up and do some more photography again!